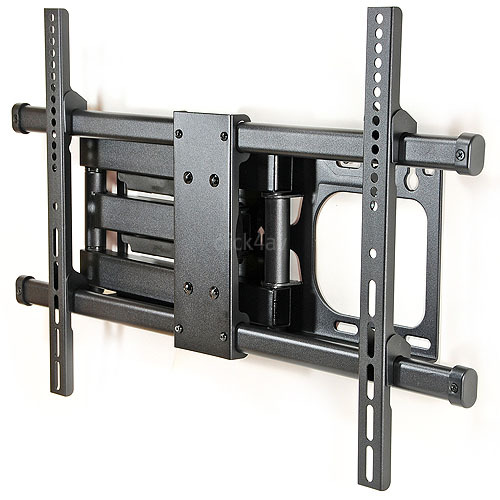 A heavy duty cantilever TV wall mounting bracket with both swivel and tilt function. It has a long reach of 615mm when fully extended and folds to 74mm when closed. 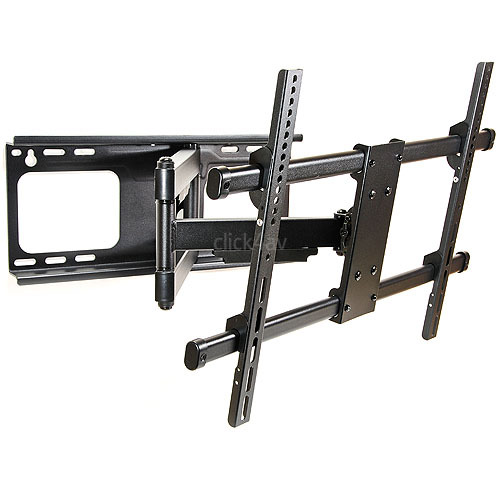 It fits many 39 to 70 inch LCD, LED and Plasma flat screens up to 60kg. It offers 180 degrees swivel from left to right and 15 degrees tilt down plus 5 degrees tilt up. 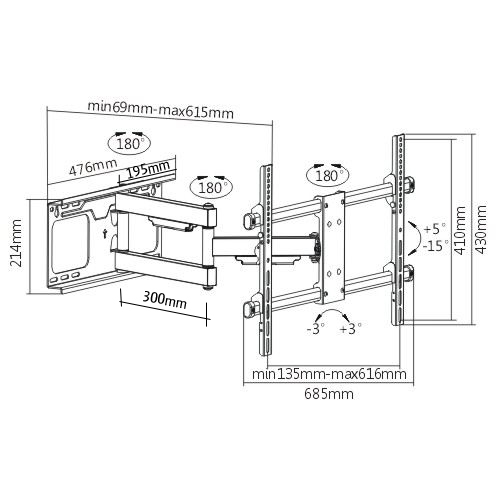 The wide wall plate is suitable to span between 406mm or 450mm studs for a timber stud wall installation. The screen can be adjusted for level after installation, by up to 3 degrees and covers are supplied to keep your cables tidy. A bubble level is enclosed to assist with the installation and screen levelling. 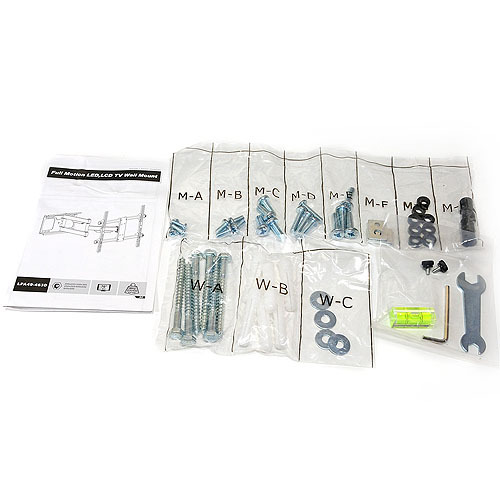 Supplied with wall fixing kit, manual, plus M5, M6 and M8 fixing bolts to attach your TV. 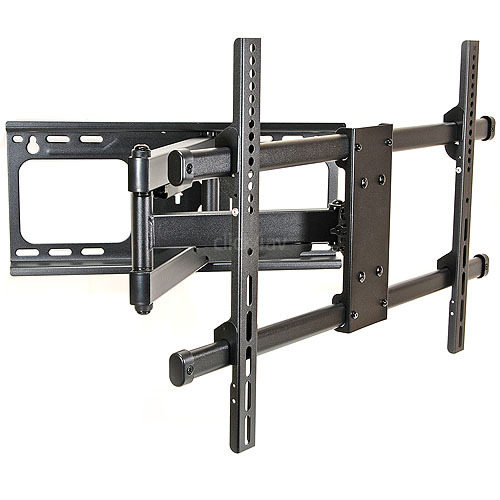 Please check the measurements of the four mounting points on the back of your TV before ordering. The hole centres should be no greater than 616mm from left to right and 410mm from top to bottom. 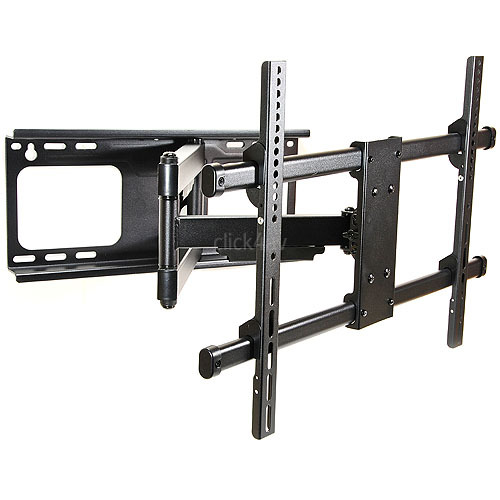 Compatible VESA sizes: 200x200 300x200 300x300 400x200 400x300 400x400 600x400.